It’s no secret - social media has taken over our lives and is no longer a place used only to keep in touch with friends and family, but is now one of the world’s largest entertainment outlets. Every day, more and more people sign up for the various platforms. Currently, there are a total of 7.7 billion people on earth. 4.2 billion of them are using the internet, and approximately 3.397 billion people are active social media users, spending a total average of 116 minutes a day on their favorite platforms. If these numbers aren’t overwhelming enough, YouTube and Instagram are currently two of the world’s most popular social media platforms - YouTube has a staggering 1.5 billion users, and Instagram is right on its’ heels with 1 billion users. Just saying. If you’re reading this blog post, you probably have an account on both platforms: either as an active creator on YouTube or as a “recreational” user, and an Instagram account of your own. If that is indeed the case, it only makes sense to use one platform in order to leverage your success on the other, and today, we’ll share a few tips on how to do just that. To some, it might seem redundant, but there’s a perfectly reasonable explanation for this. Just like the CEO of a particular brand won’t publish brand-related things on their own personal account, neither should you as a YouTube creator. It’s all about separating your “business” persona from your personal life. The goal of promoting your channel on YouTube through Instagram is to give your channel some added value that can’t be done on YouTube’s platform. Use your logo/channel art as a profile picture for your YouTube-related Instagram profile and make sure you use your channel name as your Instagram handle (@”channel-name”), so your subscribers could find you easily. Most importantly, don’t forget to add a link to your latest video in your bio section! The folks in Hollywood’s film industry know what they’re doing: to get us, as an audience, excited for a new project that is to be released, they make teasers. They take the best, most compelling footage from the film they’re working so hard on and compile it into a short “preview” of the actual movie. 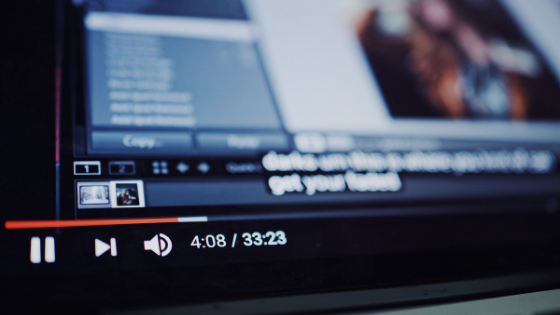 The same principle applies to your YouTube videos: after filming your upcoming video, while you edit, pick the best “scenes” and post them as short Instagram videos on your feed. Just like with any other post, use your hashtags, write a caption (relevant to the content, of course) and let people know that there’s something great for them to look forward to. It can be as short as 15 seconds - you want them to have a taste and leave them wanting more. People are curious creatures by nature. Everyone wants to know how things work, and everyone wants to understand how entertainment works - whether it’s on a movie set, a recording studio, a photo shoot location, you name it. Taking your subscribers and followers behind the scenes on Instagram is as easy as it gets - you can take pictures of your filming space, or of yourself, while editing videos; the possibilities are endless, and your only limit is your creativity. As you grow, you’ll start gaining actual fans. Fans love nothing more than showing their adoration and appreciation, and a lot of them do so with fan art. The best way to show gratitude to your fans and even help them gain more exposure is by “showing off” their work on your own channel’s Instagram profile: upload a picture of the fan art, tag the fan in the captions and let your fans know you appreciate them just as much as they appreciate you. If you have any doubts about its’ effectiveness, the hashtag #fanart on Instagram currently has over 17.7 million posts on the search results page, meaning people are actively searching for new fan art to look at, and wouldn’t it be nice if your face popped up when they did? We’ve discussed Instagram Stories and Highlights thoroughly in a previous blog post, so if you aren’t sure how they work - feel free to go and read all about it. Instagram Stories are a game-changing feature on the platform that allows you to interact with your followers in the most entertaining ways possible - whether you’re posting pictures, texts posts or short video clips. You can add stickers and cute filters to each and every story you create, and they will stay “live” for 24 hours before they disappear. Instagram stories also allow you to add a link to a story for your followers to “swipe up” on and it will send them directly where you want them to, and you can use it whenever you upload a new video and save your followers and subscribers the hassle of looking for it on their YouTube feeds. Other than that, you can post polls and ask your followers and subscribers what they want to see you do next on your channel, ask them for ideas if you’re in a creative rut or just “check in” with them to let them know what you’re up to as you go about your day. Adding watermarks to pictures is ridiculously easy and takes mere seconds to do. You can use photo-editing software such as Photoshop, or you can use online services such as Canva to do it. Watermarking your content on Instagram means you’re letting the entire world know that your content is yours, and every time someone will re-gram (or re-post) your content, your channel or brand’s name will be splashed on the picture (it should be somewhat transparent, as well, so people could see the content and not just a bulky text box). Having your name on the post itself could also give people a clue of where to go if they want to find more of your content, assuming you weren’t tagged in the captions and credited for your work. 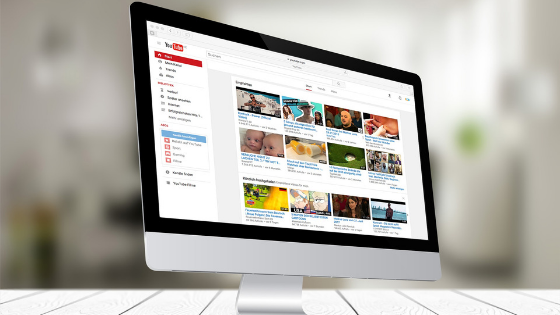 We’ve already mentioned the fact that Instagram can enhance and support your YouTube channel’s content immensely. However, you should always promote your channel’s Instagram account and let your subscribers know it exists with a call-to-action (“for behind the scenes sneak peeks/bloopers go check out my Instagram page…”). That way, you’re proactively promoting yourself on two separate platforms to gain even more exposure and a bigger audience. Don’t forget to add links to your Instagram account in annotations, in your video description and directly on your channel description - so no one could ever miss it. Although frowned upon by the general public, this is actually a legitimate way to create a big “buzz” or “hype” around yourself and is actually done by some of the biggest celebrities out there, from movie stars to athletes, from models to musicians. The idea behind doing this is creating an illusion of success to make it happen, eventually. People will be much more inclined to follow you on Instagram and subscribe to your channel on YouTube if there’s a “crowd” hanging around there - whether that crowd is paid for or not is irrelevant. The biggest marketing agencies have been pulling this simple “trick” for years now, and it never ceased to work perfectly. You want real, organic promotional services, and not services that are generated by bots or by third-party apps. This is crucial if you're going to make sure your money is well spent and that your promotions stick and don’t drop due to a violation of the platform’s terms of service. You want to make sure the numbers make sense. You can’t have 2,500 followers and 3 posts on Instagram, and you can’t have 10 followers and 1,000 likes per post. It just doesn’t make sense, and people aren’t stupid. Same goes for YouTube - a channel with no videos can’t have 20,000 subscribers, nor should a video have 100,000 views and zero likes and comments. Make sure you keep your numbers proportionate and rational and don’t underestimate your audience’s intelligence. And there you have it! 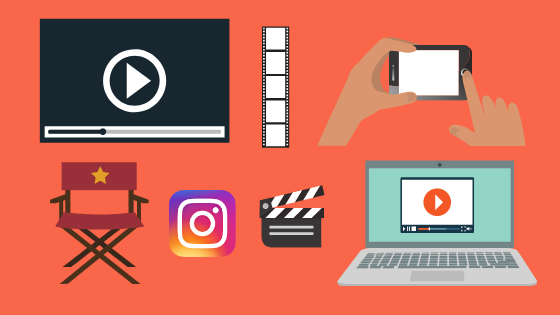 Our top tips for using Instagram to boost your YouTube channel. Using these tips, you will be even closer to greatness and success, and you’ll find your fanbase growing more and more each day!